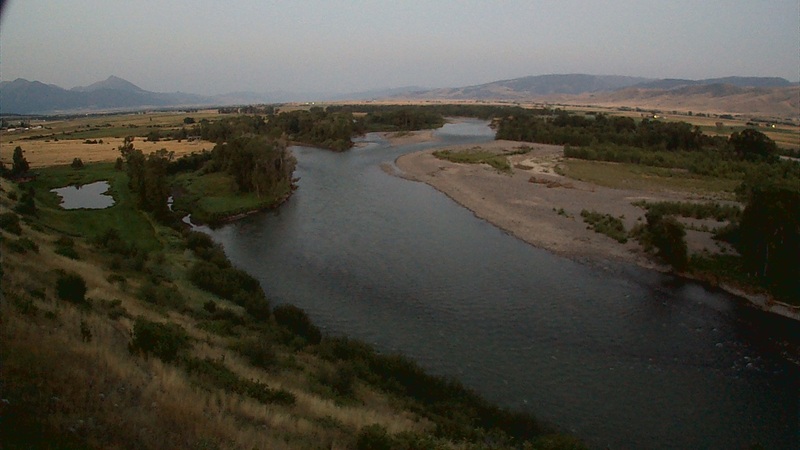 The Yellowstone river is continuing to rise and get dirty as runoff seems to have kicked into gear, although it is still fishing. Current visibility on the Yellowstone is about a foot maybe less by the time this report is finished! Caddis, March Browns, and Blue Winged Olives have been seen on the river, however surface fishing has greatly diminished with the rising of the flows and drop in river clarity. For the coming weeks we will be focusing much more on the local Paradise Valley spring creeks as well as private lakes in the area. We've also been sending boats to the Madison river which has been fishing well and for now remains clean. Nymphing and streamer fishing seems to be the key to success during this time. Matson was able to get on the water with longtime client, Dr. Sayer, and produce this nice Madison River brown trout!